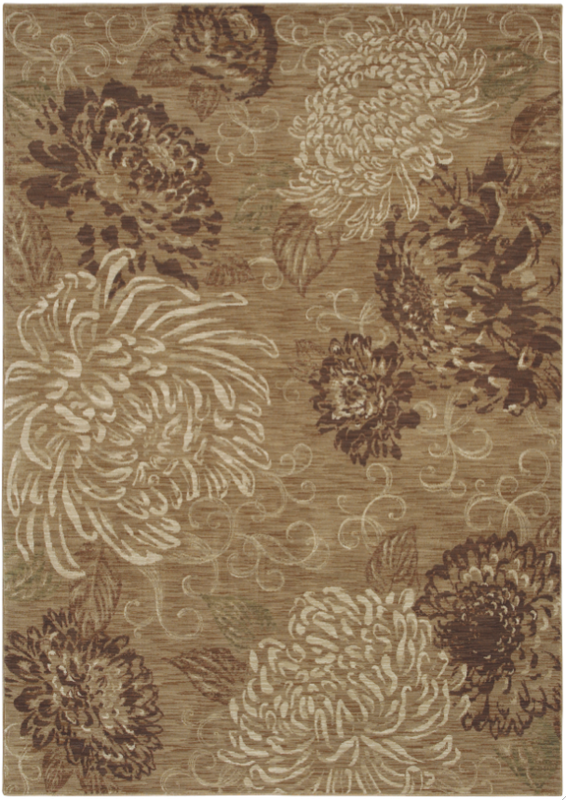 Shaw’s Vintage Bloom Rug is among one of two new collections produced in partnership with designers from HGTV. It sits atop Shaw’s Ainsdale Ivory Dale hardwood walnut floor. Looking for a way to sweeten your home for summer? Then consider adding a new rug from Shaw. The company recently entered into an exclusive partnership with designers from HGTV to create a gorgeous assortment of rugs in transitional, contemporary, and traditional patterns (they’ve produced some beautiful new wood floors, too). The rugs are divided into two collections, Haven, which offers fresh takes on old world traditional patterns and gives a give a nod to classic global influences, and Inspire, which includes a vivacious mix of transitional and contemporary designs in bold colors. The Haven rugs are made from Shaw’s EverTouch nylon, which produces yarns that have the subtle color changes you see in hand-dyed fibers and offers outstanding softness and durability—plus it’s completely recyclable through Shaw’s exclusive Carpet to Carpet recycling process. 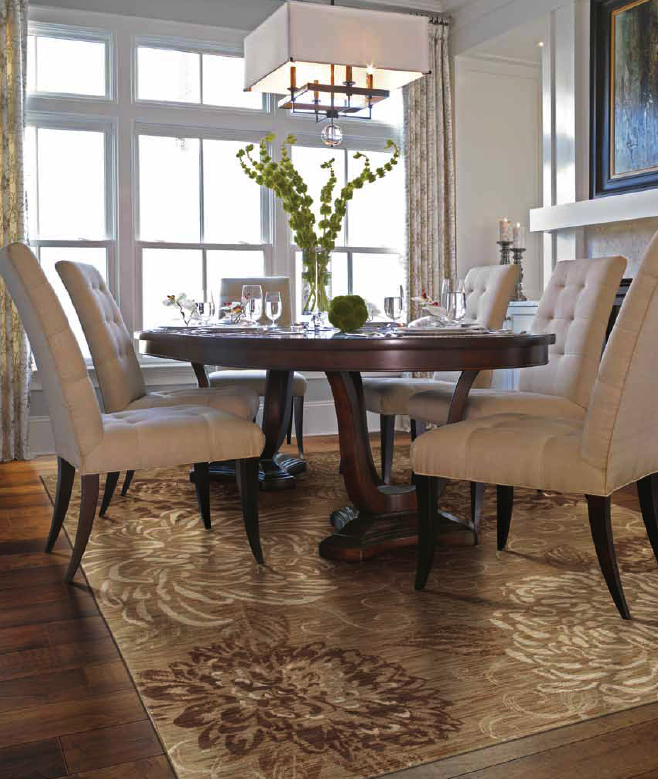 The rugs in the Inspire collection are made from ClearTouch fiber, which is ultra-soft and naturally stain resistant. ClearTouch fiber has great color clarity, and it’s made with recycled soda bottles—so the rugs are as easy on the planet as they are on the eye. To find out more about the rugs or to locate a dealer click here. 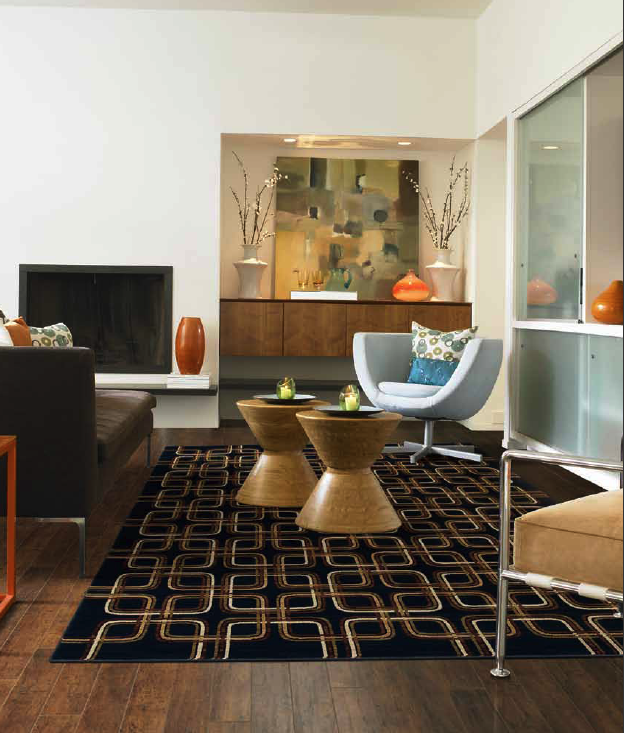 Shaw’s Mod Links rug adds graphic punch to a modern room. The floor is Shaw’s La Terrazza Veracruz Kupay laminate. I LOVE this rug. Thanks Shaw and HGTV for such a beautiful design.